In August of 1966, Jim Grimsley entered the sixth grade in the same public school he had attended for the five previous years, in his small eastern North Carolina hometown. But he knew that the first day of this school year was going to be different: for the first time he'd be in a classroom with black children. That was the year federally mandated integration of the schools went into effect, at first allowing students to change schools through 'freedom of choice,' replaced two years later by forced integration. For Jim, going to one of the private schools that almost immediately sprang up was not an option: his family was too poor to consider paying tuition, and while they shared the community's dismay over the mixing of the races, they had bigger, more immediate problems to contend with. 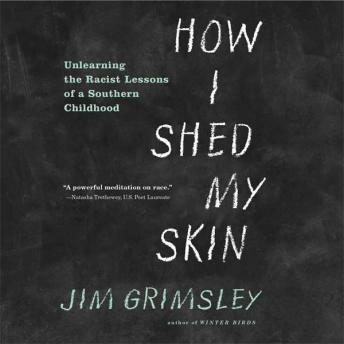 Now, over forty years later, Grimsley, a critically acclaimed novelist, revisits that school and those times, remembering his own personal reaction to his first real exposure to black children and to their culture, and to his growing awareness of his own mostly unrecognized racist attitudes. Good White People is both true and deeply moving, an important work that takes readers inside those classrooms and onto the playing fields as, ever so tentatively, alliances were forged and friendships established.